The rules of the real estate market in Paris are different than you might expect. Our tips will help you brush up on the buying process and begin your foray into the market with confidence. Purchasing property in France is relatively straightforward for locals and foreigners alike. Napoleonic code defined the process centuries ago, and with a good Notaire your interests and investment will be secured. 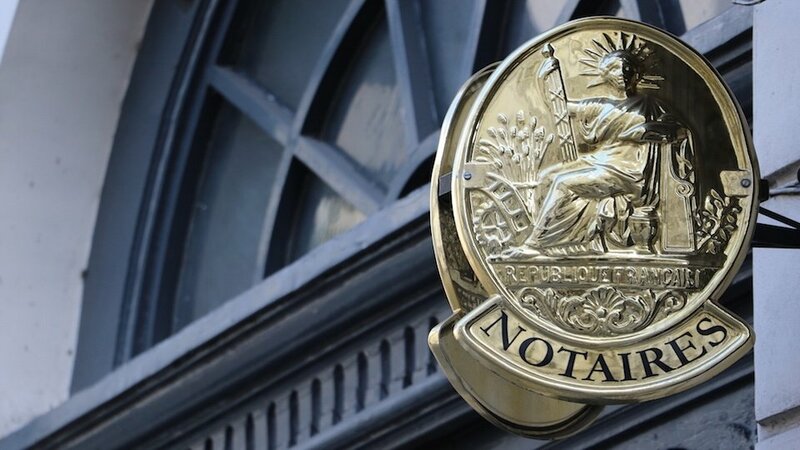 The Notaire is not the same as a notary public in the U.S. The Notaire has a highly respected position in France as the public official who prepares the title deeds relating to the sale and purchase of land. They must carry out the following and attest on public record that the deed has been signed in his or her presence and understood by the parties involved. Legal representations on both sides are important as this example shows. One of our clients purchased a beautiful apartment in Paris that had been declared "empty" by the sellers and by their Notaire. Unbeknownst to their Notaire, the sellers had a sitting tenant in the maid's room that belonged to the apartment and had been negotiating with the tenant for months to find a replacement apartment. This means the apartment could not be declared "empty." We discovered this on the eve of purchase and notified our buyer's Notaire. This caused a serious problem for the sellers since they had misrepresented the fact that there was a sitting tenant with legal rights to stay there. Their Notaire was furious and explained to the sellers that the buyer could walk away from the sale with no consequences if they chose to do so. The sale was delayed until the tenant moved out shortly afterwards. Without that confirmation, we would have told the buyer to cancel the sale because it is very difficult to remove sitting tenants in France. Because of the misstatement, the buyers would have been able to walk away with a full refund of their deposit. The same Notaire can represent both the buyer and seller but we recommend the buyer use their own Notaire to be sure their own interests are fully represented. There is no extra cost to choosing your own Notaire as the fee is the same and will be split between both. Our recommended Notaire has represented ourselves and owners for decades. He is smart, efficient and looks after our buyers’ interests to the smallest detail. We are happy to put interested buyers in touch with him. Offre d'Achat: Sometimes an estate agent will ask you to sign an Offer d'Achat, a formal written offer. Be careful about signing this. We recommend you only do so in the presence of your own Notaire or lawyer. If the other party accepts your offer, then a legal contract is developed, subject to any conditions that may be in the offer. It is forbidden for a seller or agent to ask for a deposit at the time an "Offer to Buy" is made. If they ask you to pay a deposit, walk away. Compromis de Vente: A bilateral agreement where both the buyer and seller are bound to the sale. The owner agrees to sell to the purchaser and the purchaser, in turn, agrees to buy from the owner, subject to any conditions (Conditions Suspensives) that may be stipulated in the contract. Promesse de Vente: A unilateral contract by the seller, similar to an "Option to Buy." Under a Promesse de Vente, the seller is obliged to sell the property to the buyer at the agreed price, within a specified duration (which can be several months or longer). Prior to 2015, a Promesse de Vente could be signed and accepted immediately by the seller. The buyer had 7 days to back out without repercussion. Then the process of obtaining the important documents would begin – taking up to three months on average before the sale was finalized. New Ruling for Promesse de Vente: As of 2015, all the official documents pertaining to a property and the owner’s right to sell it - including the inspections of the property - must be provided before the Promesse de Vente is signed. The most important documents include: the ‘"loi carrez" (official size measurment) to inspections for termites, asbestos, lead paint, energy efficiency to annual building meeting notes - must be obtained before the Promesse de Vente or the Compromis de Vente are signed. Because the seller must now provide all major documents before the signing of the Promesse de Vente and Compromis de Vente, the signing of the documents takes much longer -- 2 to 7 weeks or more, rather than immediately. This has good and bad news for the seller and buyer. For the seller, the bad news is that they may gather all the paperwork over a period of weeks/months only to find the buyer has walked away. Since the buyer had not signed the Promesse de Vente, he or she are under no obligation to continue. The good news for the buyer is that they have more time to obtain financing and reflect. But the bad news is if the property is really fabulous, the seller will select the buyer who has no conditions to their purchase such as a mortgage. If they really want the property, this obligates the buyer to the purchase without knowing whether they can obtain a mortgage. A recent example: We found a 3 bedroom apartment for buyers from San Francisco who we booked to view the apartment half an hour before official viewings started. They fell in love with it and we wrote an offer on the spot at full asking price. The agent knew there were two other serious buyers and insisted our buyers write they did not need a mortgage to finance the purchase. The seller accepted their offer in writing which guaranteed their purchase. Later the same day, two other offers came in, both without "special conditions" such as mortgage approval -- and both at or above the asking price. If the seller had not officially accepted our buyers’ offer in writing and because there was no signing of a Promesse to bind the seller – our buyers could have lost the apartment. Special Conditions: Your Notaire may add several suspensive conditions in the offer and Promesse – special conditions that would invalidate the contract if they are not met. The most important release clause allows buyers to withdraw from the contract with the return of their deposit if they cannot obtain a mortgage or if the mortgage has worse terms than those specified. This is important because if you haven't written in a financing clause and don't receive your loan, you will lose your deposit if you have to back out. Be sure your Notaire is advising you well in these matters. Grace Period: As mentioned above, once the Promesse or Compromis are signed, there is a seven-day grace period in which the buyer can withdraw from the purchase. Note, the seven-day period of retraction does not start until the day after the letter of confirmation has been received. If you back out, you must send a written notice (by registered mail) of your cancellation, within the seven days. If the letter is mailed before seven days, regardless of when it is received, it is valid. The seller is required to return the deposit within twenty-one days. Some people think this is a "get out of jail free" card, a way to block an apartment and have the time to reflect more carefully. This is a tricky issue and you should use this option carefully because once you've walked away, the seller and agent will not want to deal with you again. In Paris neighborhoods, the name of an unscrupulous client is quickly shared among all agencies. An acquaintance we know put in an offer on an apartment that was accepted by the seller. The buyer reconsidered and withdrew from the purchase within seven days, sent written notice and walked away. A month later, they realized it had been a good deal and approached the agent again; he refused to even contact the seller, letting them know that the buyer was so angry at the previous experience that he would never sell to them, even if it was the only offer made. In short, do not make your decision lightly. What Must the Promesse de Vente or Compromis de Vente Include? Any provisional conditions (Clauses Suspensives). These may include standard conditions such as no other title claims or that the property searches do not reveal any problems. This is where the buyer would insert an "obtaining finance" clause or guarantees that something will be repaired or any other comments. Co-ownership deeds and all amendments, statement of the building management accounts, the last three co-owners annual meeting notes, etc. You can own your apartment in a number of ways, and there are tax advantages to consider. Be sure to get advice from a French tax lawyer before you decide because the cost of passing a property on to someone else can be very high. Our recommended tax lawyer understands the tax codes in France and the US. He can advise on the most efficient tax structure for purchase, set up SCI’s and advise on inheritance rules; he can also recommend bilingual accounts in Paris. in the form of a SARL (Société à Responsabilité Limitée), generally with other family members. in the name of an SCI (Société Civile Immobilière), a special type of French company which exists to own and manage properties in France. This is the most common used. When the buyer's Notaire has completed the title searches and is comfortable that the apartment is an unencumbered asset, is the size stated, belongs to the sellers, then a date will be set to complete the Acte de Vente (Closing). This is the definitive act which transfers the title of the property to you. It will be registered at the Bureau de Conservation des Hypothques and a copy of the Acte will also be kept at the Notaire's office. If you can't be present, you may assign a Procuration (Power of Attorney) to someone else to act on your behalf. This can be a search agent, your Notaire, your lawyer or any person of your choosing. Taxes will differ if you are a resident versus a non-resident. If you spend less than 184 days a year in France, you are usually classified as a "non-resident." You’ve just read The Purchase Process. Click here to read the next article in this series on Where to Buy a Paris Apartment.